Christmas Island is one of the bucket list trips for most of us. This South Pacific destination features pristine waters and world class bonefish, giant trevally, and other exotic species like parrotfish, triggerfish, emperors and even milkfish. Its an exotic getaway that requires a few flights to get there. Travel to Honolulu from the west coast is a 5 hour plane ride and from the east coast is 10 hours. Most major airlines fly into Honolulu international airport daily. Waikiki has many hotels from the moderate price range to very expensive and luxurious, plenty of shopping and things to do for the non angler. Fiji airways flies out of Honolulu every Tuesday to Christmas Island, there’s only one flight a week so you will not be able to return back to Honolulu until the following Tuesday. The flight time is only 3 hours from Honolulu international to Cassidy international on Christmas Island. When traveling to Christmas Island it’s wise to buy Global rescue incase of a serious medical emergency as there is not any Hospitals or modern medical care on the island. 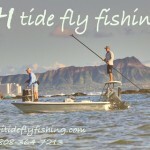 Most anglers traveling to Christmas Island arrive to Honolulu at least a day or two before departing to Christmas Island incase of any lost luggage. 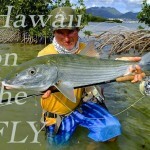 Some anglers spend a day fishing for Bonefish in Oahu to past down time and to get a little warm up before heading down. Giant Trevally require a 12 weight. A 12 weight for the added lifting power & greater control increasing chances of landing the fish. It will also eliminate wind as a factor as even a novice caster has little dificulty punching a 12 line through the wind. 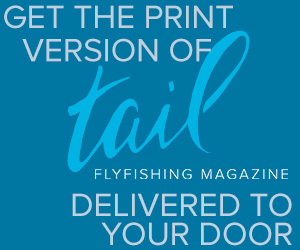 You MUST have a sealed drag and made for saltwater fishing. We use the term ‘bomb-proof” which means means tested & proven. It is vital to successful GT fishing. Your GT reel should have the following features: 1. Very few or no moving parts 2. Smooth drag with smooth start-up 3. Sealed drag which will not corrode 4. It will not fail under any circumstance Use a specialty floating line which has a braided 50 lb core. We also recommend 400 yards of 60 lb backing, you’ll need it. Leaders should be 6-9 feet with at least a 60 lb shock tippet. Our most popular is a 6 foot (2meter) piece of 60lb flourocarbon with no taper. Just tie the fly right on.